This dress is in excellent brand new condition. It has a beautiful hand beaded belt which adds a feminine touch to the waist line. The corset back pulls you in showing off beautiful curves. 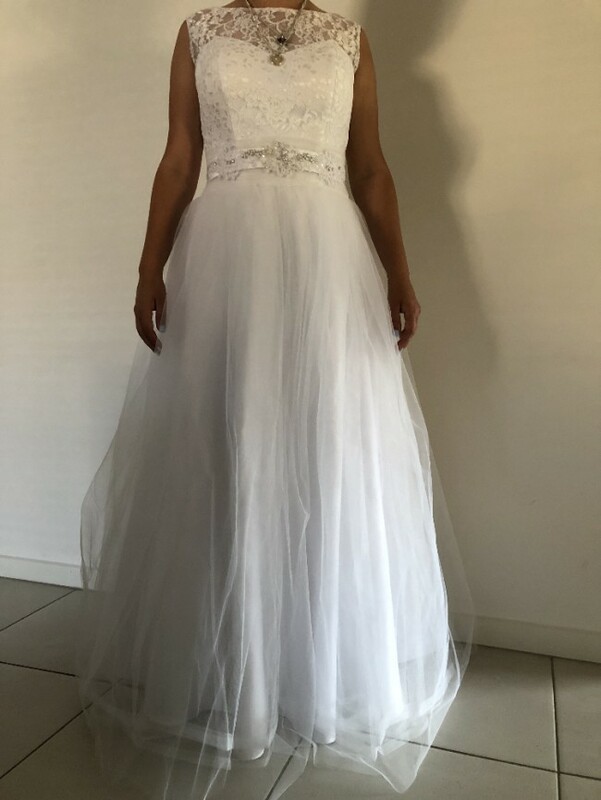 I have a 22inch 2 tier veil which matches the dress perfectly and blends into the skirt. Alterations have been made to the length of the skirt and the shoulders.